You could set up the widget areas in Hello Pro by hand. All of the information is provided for you when you buy the theme. But reading the instructions, manually adding all of the widgets and then typing in the code and text into the widgets takes time. So I made you a .wie file. Setting up the front page using my Widget Importer and Exporter file takes a tiny fraction of the time it would take you to do all of this work by hand. So the choice is yours. However, if you do choose to use my .wie file, read on. First make sure you have the theme installed and activated. 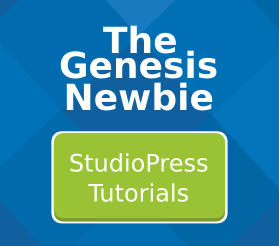 StudioPress sell Hello Pro and Genesis as a bundle. But if you’ve already bought Genesis to use with a previous theme, you only need Hello Pro. If you do have a StudioPress account, make sure you log in before you make your purchase, you’ll probably get a returning customer discount. Hello Pro is designed to use several plugins. Is the site you’re working on new, without any pre existing widgets setup? Have you installed and activated the theme and listed plugins? Did you download, unzip and scan the .wie file I’ve provided. Click the Choose File button. Then navigate to the “hello-pro-widgets.wie” file that you downloaded from this site. 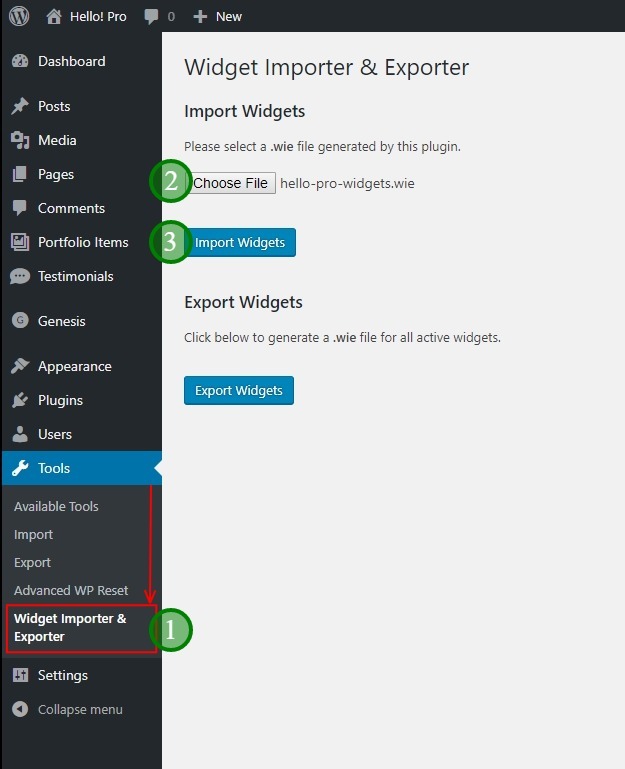 Click the Import Widgets button. That’s it. All you need to do now is configure the settings for each widget area in Hello Pro. And we’ll do that in the following videos.